Even with the popularity of Apple Music, it’s a hassle to switch to iTunes to select and start a playlist, pause music, or adjust the volume when you’re busy on your Mac. But with powerful automator programs like Keyboard Maestro, you can control iTunes from within any application, and stay on task while you listen to your music collection. If you’re new to Keyboard Maestro, here’s my overview of the program. 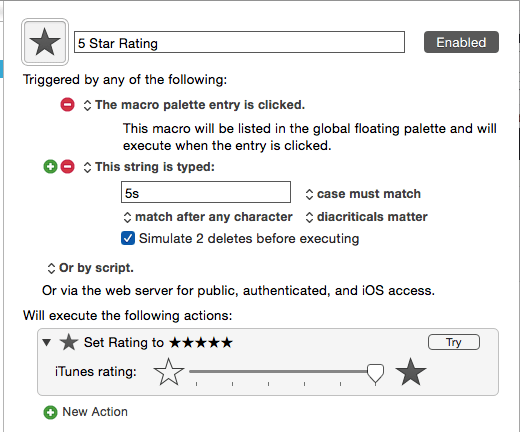 The iTunes related automations I share in this article can be created and used even on a trial version of the program, so download it and give it a try. I work at my computer throughout the day, and I typically have music playing, either in iTunes or Rdio. 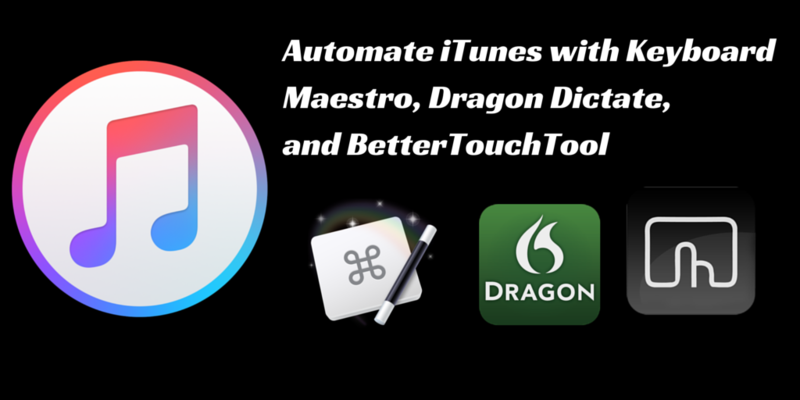 For both applications, I use Keyboard Maestro automations, BetterTouchTool finger gestures, and even Dragon Dictate voice commands to control the music playing on my Mac. The automated actions I describe in this article require no coding or prior experience with the Keyboard Maestro or other applications. They just require a little of you time. Let’s explore what is possible. 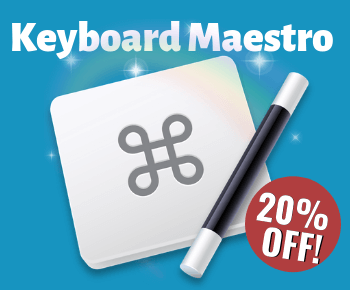 Keyboard Maestro includes several actions for controlling iTunes from within applications. 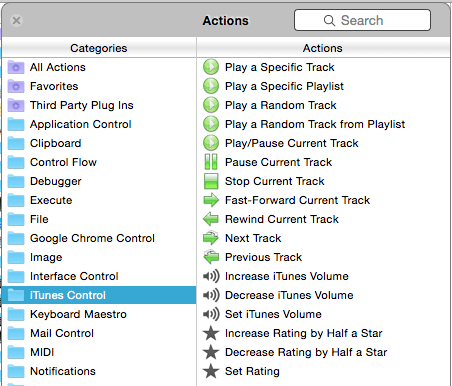 Open the Actions palette and click on the iTunes Control folder in the left column. As you can see, there’s actions for playing a specified playlist or track, increasing or decreasing the volume, and assigning a rating. When you include one or more these actions in a KM macro, you can trigger the actions using either an assigned hotkey, typing a few string of letters, or clicking on the macro button in the macro palette. My overview of Keyboard Maestro shows how to create macros in the program. So I will assume that you have knowledge of those steps. My All Jazz playlist consist of 415 albums. 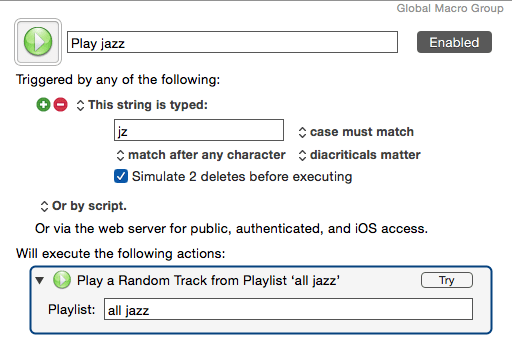 While I often open iTunes and select an album I want to hear, I can also trigger the playlist by simply typing my assigned string of letters, “jz”, which executes the macro. 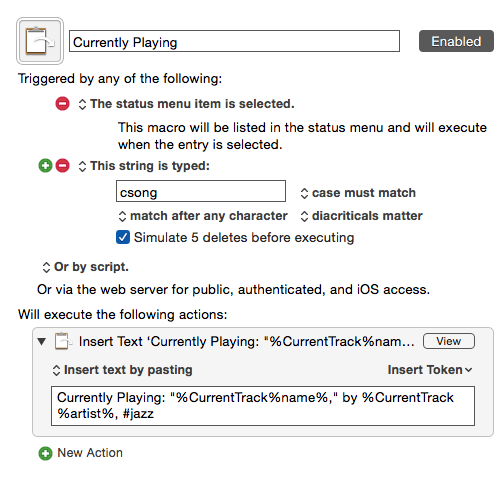 To use the “Play a Random Track from Playlist”, simply type the exact name of the of the playlist in the action, and then assign the macro one or more triggers. As with all the macros I share in this article, make sure they are a part of the Global Macro Group or a KM folder that allows for executing macros from within any application. I also execute the playlist macro using a Dragon Dictate voice command. 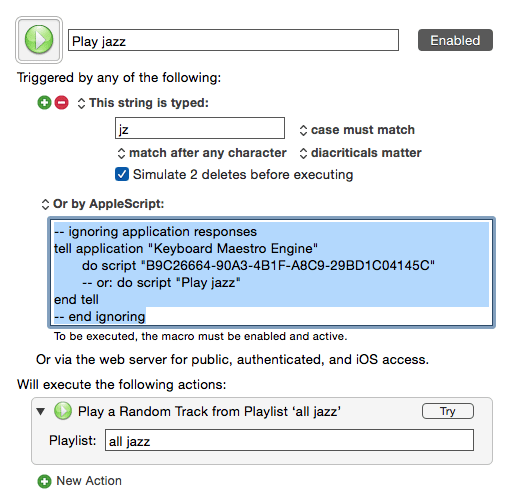 I copied and pasted the AppleScript script for my Play Jazz macro into a Dragon Dictate command, and assigned it the voice command, “Play jazz”. Thus while working or browsing the net, I can issue the voice command without opening iTunes. To get the AppleScript script in Keyboard Maestro, click on the macro, and select “Or by AppleScript” from the drop-down menu inside the trigger section. 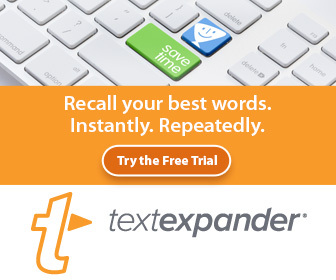 Copy and paste that text in a new Dragon Dictate voice command action. I use a similar command to pause and play iTunes from within an application, and of course I have also mapped this command to Dragon Dictate voice commands. The Keyboard Maestro macro I use most often for iTunes is “Next Song”, because invariably iTunes will play a song that I am not in the mood to hear. 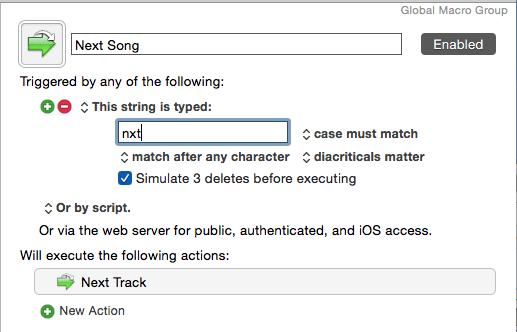 So I simply type, “nxt”, or say, “Next Song” to make iTunes play a different song in my playlist. This is macro is a huge time saver, because it allows me to enjoy my music without having to open iTunes and click on tracks. The only rating I assign tracks or albums in iTunes is 5 stars, because I simply want to keep up with my favorite tracks. So when I’m listening to a song and want to quickly assign it a rating, I type “5s” to assign the rating. I can also trigger from the universal macro pallet on my Mac. The setup for this macro is based on a simple KM token inserted in the “Insert text by pasting” action. 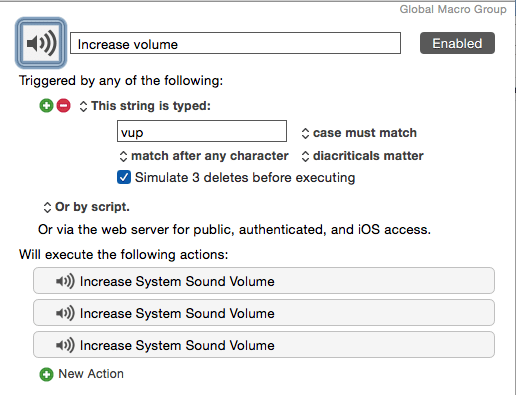 Keyboard Maestro also includes actions for increasing and decreasing the volume in iTunes or the system sound volume. If you’re going to use automations, you might as well includes these in your available actions and commands. I use the system sound volume actions because I like to keep my iTunes volume at the same level. I have one macro for increasing the volume, and another macro for decreasing the system volume. I have also assigned voice commands to these actions. It’s always useful to have several ways to send commands, and the finger gesture application, BetterTouchTool, provides several actions for controlling iTunes and the system volume control. BetterTouchTool goes way beyond the default finger gestures provided by Apple. Creating BTT actions only requires a little of your time, and the finger gestures can be easier to use and remember than using hotkeys. I hope the above automation ideas show you what’s possible using automation programs. 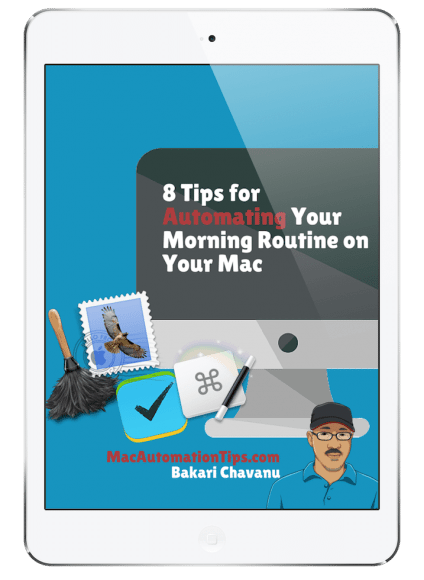 The beauty of using automation programs for general users is that there is no required coding skills, and nearly anything that you do on your Mac can indeed be automated. 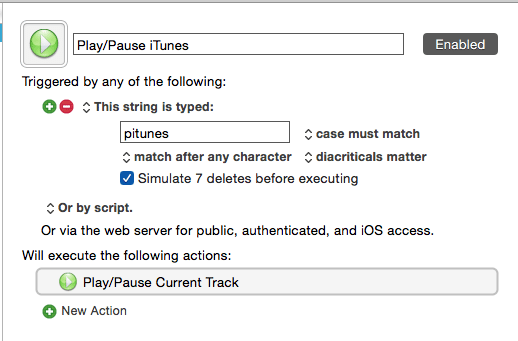 Note, there are several AppleScript scripts for iTunes that you could use or map to automation programs. I will review some scripts in future article, so be sure to subscribe to this site for updates. 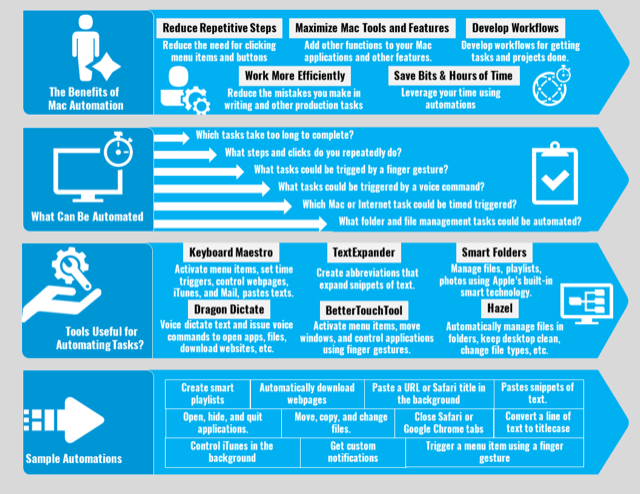 In the meantime, let me know what you think of these automation hacks, and which ones you plan to use on your Mac. Bakari – appreciated the “play a specific playlist” one. Still learning KM so didn’t know I could do it. I’ll web search a bit further, but when I actioned the macro, it “played” the playlist, but didn’t go to it, so I still had to go and click the playlist if I wanted to see what was next, or verify if it was working. Is there a way to make the list “selected”, even in the background, so I can return to/stay with whatever I was working on. Hi Phil, if I’m understanding you correctly, you would need to have extend the macro to activate iTunes and then trigger Command+L to go to the currently playing song.